Login to my flowers4indonesia.com account to track the status of your order or visit our customer service page. 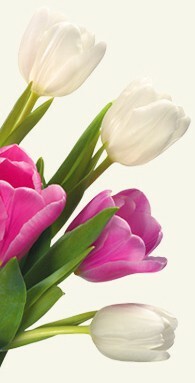 Login to my flowers4indonesia.com account to modify your order or visit our customer service page. All changes must be 24 hours before delivery. After that time, we cannot guarantee there will be enough time for the changes you request. At Flowers for Indonesia we only use the very best in security for our online payments. We use PayPal for our online payments and as one of the largest payment processors in the world their security is top notch. flowers4indonesia.com keeps customer information completely confidential. Our company does not share customers' personal information for third-party use or sell it to advertising agencies. In the event of a legal requirement, fraud, or law-enforcement request, your personal information may be shared upon request from the relevant authorities. The delivery costs are: Bali Denpasar 9.00 USD (Cake delivery 10.00 USD), Bali Jimbaran 9.00 USD (Cake delivery 10.00 USD), Bali Kerobokan 9.00 USD (Cake delivery 10.00 USD), Bali Kuta 9.00 USD (Cake delivery 10.00 USD), Bali Manggis Karangasem 16.00 USD (Cake delivery 18.00 USD), Bali Nusa Dua 9.00 USD (Cake delivery 10.00 USD), Bali Padang Bai 19.00 USD (Cake delivery 19.00 USD), Bali Sanur 9.00 USD (Cake delivery 10.00 USD), Bali Ubud 9.00 USD (Cake delivery 10.00 USD), Bali Ulamas 9.00 USD (Cake delivery 10.00 USD), Bali Uluwatu 16.00 USD (Cake delivery 18.00 USD), Batam Island Batam 9.00 USD (Cake delivery 10.00 USD), Borneo Balikpapan 9.00 USD (Cake delivery 10.00 USD), Borneo Samarinda 9.00 USD (Cake delivery 10.00 USD), Java Bandung 9.00 USD (Cake delivery 10.00 USD), Java Bekasi 9.00 USD (Cake delivery 10.00 USD), Java Bogor 9.00 USD (Cake delivery 10.00 USD), Java Cirebon 9.00 USD (Cake delivery 10.00 USD), Java Jakarta City 9.00 USD (Cake delivery 10.00 USD), Java Jember 9.00 USD (Cake delivery 10.00 USD), Java Lombok 9.00 USD (Cake delivery 10.00 USD), Java Madium 9.00 USD (Cake delivery 10.00 USD), Java Malang 9.00 USD (Cake delivery 10.00 USD), Java Purwokerto 9.00 USD (Cake delivery 10.00 USD), Java Purwokerto 9.00 USD (Cake delivery 10.00 USD), Java Salatiga 9.00 USD (Cake delivery 10.00 USD), Java Semarang 9.00 USD (Cake delivery 10.00 USD), Java Solo/Surakarta 9.00 USD (Cake delivery 10.00 USD), Java Sukabumi 9.00 USD (Cake delivery 10.00 USD), Java Surabaya 9.00 USD (Cake delivery 10.00 USD), Java Tasikmalaya 9.00 USD (Cake delivery 10.00 USD), Java Tegal 9.00 USD (Cake delivery 10.00 USD), Java Yogjakarta/Jogia 9.00 USD (Cake delivery 10.00 USD), Sulawesi Island Manado 9.00 USD (Cake delivery 10.00 USD) and Sumatra Medan 9.00 USD (Cake delivery 10.00 USD). How do I contact flowers4indonesia.com customer service if there is a problem? 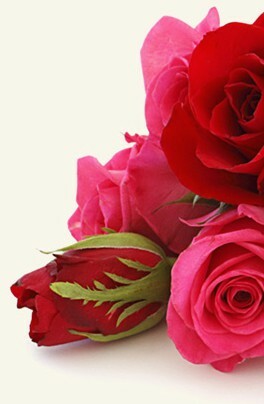 Use my flowers4indonesia.com account to access your account and contact customer service. Alternatively, call our customer service department.